Who Are The Kunama People? The majority of the Kunama People live in Eritrea. 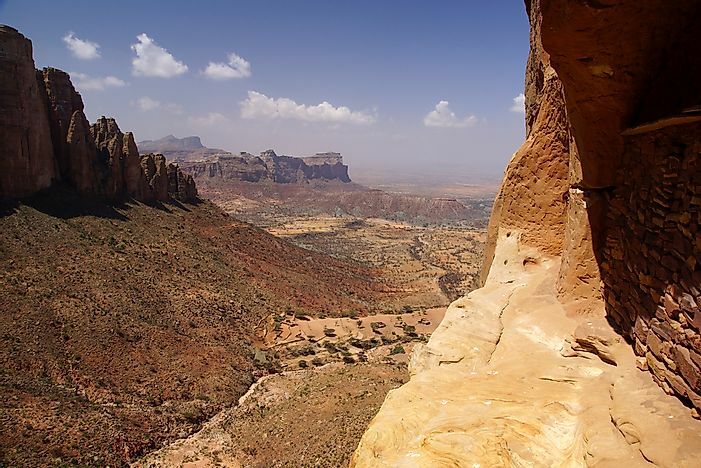 The Tigray region in Ethiopia, the homeland of the Kunama people. The Kunama community is a Nilotic group living in Eritrea and Ethiopia (Sub-Saharan Africa). They were known as "Baza" or at times "Bazen" in the past. The Kunama people are approximately 260,200 in number with the majority living in Eritrea (about 80%). The exact number remains unknown since no clear census data is available. Most Kunama people live between the remote rivers of Gash and Setit (they are known as Sona and Tika respectively by the Kunama). Kunama people speak the Kunama (also known as Kun) language. Historically, the Kunama were refugees in Ethiopia where about 4000 of them fled out of the land after a while. Up to date, a majority of the Kunama people still adhere to the traditional African beliefs. Other religious groups include Christians (mostly the Orthodox church), Evangelicals and Muslims. In the past, the Kunama people practiced nomadism as their way of life but are currently sedentary farmers and pastoralists. Farming is the most important economic activitiy of the Kunama people. They cultivate millet, sorghum, and legumes. Harvesting is also conducted by the entire community and celebrations made through songs and dances. The Kunama enjoy a liberal and democratic way of life with women having high social status and equal property shares. The Kunama music is favorite across Eritrea. Social attributes among the Kunama is known to have clan divisions into six main groups. These main clans are then divided into sub-clans (formed based on localities). The clans are based on the maternal lineage of the family. The Kunama people are the only ethnic group in Eritrea that base its clans on maternal pedigree. These clans include Lakka, Nataka, Alaka, Serma, Sogona, Akartakara, Shila, Kara, Jula among others. The different clans play different roles such as summoning rain, warding off insects like locusts which destroy harvests. Before the onset of Italian colonialism, the Kunama had massive differences with the surrounding communities.